Now that Netflix has made it to the UK, you might be looking for a compatible media streamer to plug into your TV. Let's puts one to the test. Because Netflix has been around in the US for some time, there are a handful of devices already on sale that can log into a Netflix account and stream its films and TV programs to a TV. Games consoles including the PS3, the Xbox and the Wii can do it, as can some LG Blu-ray players and Samsung TVs. 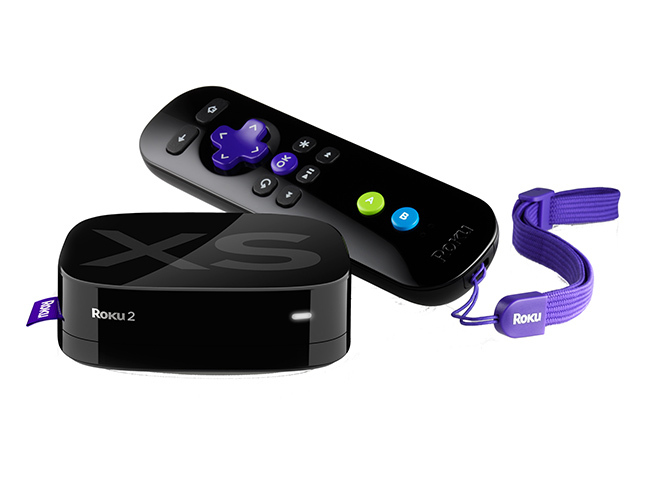 For anyone who doesn't already have one of these, there's the Roku 2 XS. As well as streaming Netflix, it can connect to other services, including Facebook and Flickr, and also has a few games you can play. Measuring just 84 x 84 x 23mm, the Roku 2 XS fits into the palm of a hand, making it one of the smallest media players we've seen. The device can connect to a Wi-Fi network and a standard definition TV straight out of the box. 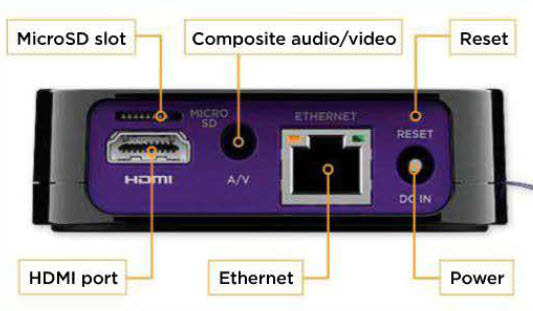 It also supports full HD, with resolutions up to 1080p, but you'll need your own HDMI cable to make the connection. These cost around £10, but it's a shame there isn't one in the box. We started testing it on a Wi-Fi network but our router and TV are on opposite sides of the house, separated by several walls. If you have a strong Wi-Fi signal near your TV, you might get better results, but our signal wasn't strong enough so we had to swap Wi-Fi for a HomePlug Ethernet connection. To use the device, you have to subscribe to the Roku service. This is free, but some of the channels and games available for download cost money, so you're asked to provide your credit card details during set-up, to save doing it later. You can protect your card from accidental transactions by adding a 4-digit PIN to enter before purchases can be processed, but we still found this intrusive. Having paid £100 for a new streaming device, you ought to be able to use it without divulging further financial information. During set-up, you'll see a list of free and paid-for channels that you can pick content from. Free channels include the Netflix channel (though you'll need a £5.99-per-month account to take this further than the one-month trial), BBC iPlayer and the full version of Angry Birds. Most games are included in the paid-for channels and are similarly priced to phone or tablet apps, starting at around 69p, but rarely going above £5. When we watched Full HD video through Netflix, the quality was superb. The iPlayer also streamed well, and both services are easy to use with the remote control. If you want more entertainment options, there are other channels worth watching. Some are simple information pages, such as a weather channel that shows you a five-day local forecast. Others, like the TED channel, are collections of videos, but handy to have on a bigger screen. There are also Facebook, Flickr and Picasa channels, for showing off your own photos and videos. However, there are some noticeable omissions, such as You Tube, Spotify and iTV. You need to download the USB Media Player in order to use the USB port. Once installed, you can plug in a USB memory drive containing video, photos and music, which can be browsed and played on your TV. However, the Roku 2 XS doesn't do this as smoothly as rival streamers. For example, you need to make sure your photos are properly oriented before sending them to the device because there's no rotation option. And you can't play music at the same time as viewing a slideshow. Limited formats Another disappointment is that only video encoded in the H.264 format is supported. While this is probably the most popular format at the moment, people still make use of many others, depending on where their video has come from. Converting video into a compatible video file is made easy by the likes of Freemake, but it's still an unnecessary chore. The other surprising omission is network streaming. Most media streamers can connect to other computers, via iTunes, Windows Media Player or DLNA, to stream music and video to the TV. This cuts out the need to save files to a USB and carry them from the computer to the Roku 2 XS. If you store your media on a NAS (network attached storage) or a computer this missing feature will be critical. It was a surprise to see so many games among the channels, as we've come to associate games such as Angry Birds with phones rather than TVs. It's an integrated part of the package, because the accompanying remote control can be rotated 90 degrees and held sideways, turning it into a game controller. It also has a motion sensor, similar to a Wii remote, which works well with games like Angry Birds because moving the whole controller to pull back the catapult feels more realistic than pushing buttons on a game pad. And because the remote connects via Bluetooth, rather than infrared, you don't need to point it at the Roku box to make it work. There's no web browser, though, which is another disappointment. It's true that typing URLs without a keyboard would have been awkward, but it would be better to have the option. The Roku 2 XS promises so much, but aside from streaming Netflix and playing Angry Birds on TV, it's a bit of a disappointment. It doesn't support enough file formats to make it a useful universal player, and the lack of network streaming leaves your media content stuck on your PC.